When Dealers Compete, You Win! Let Our Security System Professionals Work to Earn Your Business. Save Time and Money by Comparing Multiple Quotes Fast. Answer a few simple questions, and we’ll work to find the perfect security system or security provider near you. Compare up to (5) of our security system companies so you know you’re getting the best deal with no obligation. Feel confident you found the best provider or product for your home or business and know you made a smart buying decision. Mag Security is an online provider of Monitored Alarm Security Systems, Video Surveillance Systems (CCTV), Wireless Security Systems, Fire Alarm Systems, and Access Control Systems for residential and commercial applications. 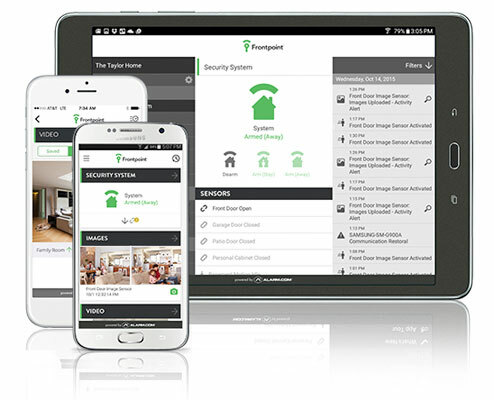 Security systems like Frontpoint Security and ADT will be highlighted. Here’s a great article we prepared on how to choose a home & business security systems. Getting the right home security system could be the difference between life and death. With increase rise in criminal activity in the last few decades, it is even more essential, especially for large companies. Wireless security systems like Frontpoint security not only inform about intruders with interactive monitoring, but also notifies owners when it comes to other hazards like fire, smoke, carbon monoxide, etc. Here is a step by step guide on how to choose the best security equipment for your home and business needs. The first thing you need to do is to decide what type of security you need. A lot of people don’t even know the difference between home security systems and home alarms. These are different levels of security. For example, a simple burglar alarm is a very basic set of sensors designed to make noise when an intruder enters into your premises. An alarm system refers to a burglar alarm plus a few additional features like smoke and fire detectors, etc. Nowadays a security system is featured with wireless surveillance cameras, CCTV, remote control handling, automated locking, automated lighting, etc. You might not need these in your home unless you are safeguarding valuable. The essential point is, it purely depends on your hardware requirements. Evaluate your neighborhood: So what type of crimes usually take place in and around your area? Identify if there are cases of related violence or theft so that you can get equipment which counters such attacks. Take notes of the greatest threats that your home or building can face. Mark the possible entrance zones: These are areas of risk and require maximum security. The higher the number of zones means more equipment you’ll need. All doors, ventilators, and windows come under these areas of protection. Evaluate the lighting: Areas which are well lit are harder for intruders to break in. If there are areas on your property where it is shady or dark, these are the places you need to evaluate. You might need motion sensing equipment and floodlights. If such options are not viable, you might want to go for infrared cameras instead for nighttime protection. The internal frontpoint security: There will be zones within the building which demand extra protection. These could be safes, lockers or even expensive paintings. Identify such areas and maximize the security thereby installing wired or wireless CCTV cameras, finger print locking mechanisms, security hardware, etc. Money can sometimes be a limitation which is going to decide the sophistication of the home security systems you opt for in the end. Obviously, as you start to get into high-end features, the costs also get higher. If you want a very basic burglar alarm just for the sake of it, you can even get one for $20 right off Amazon. A decent security service should cost around $100 for installation and an additional $20-$30 per month. 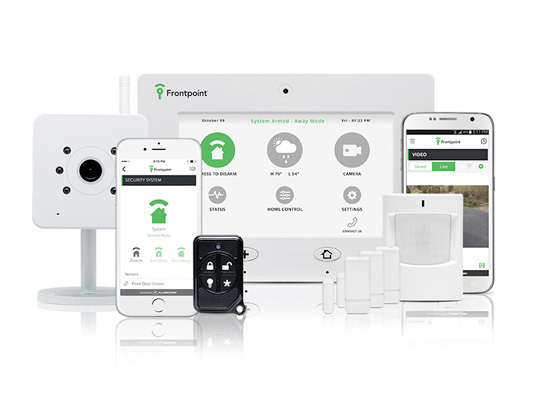 Frontpoint security, a wireless home security system package will range from $34.99 to $49.99 per month with some upfront costs based on equipment choices. That being said, the high end system can cost thousands of dollars if you’re doing an upfront purchase. If you own a big business with a lot of expensive transactions, you might want to consider one of those. Apart from that, there are a plenty of safety systems in the same league. Identify Local leaders: Try to do location wise researches. A particular company might not be available in other areas but might provide excellent customer service in your area. Another company might be just the opposite. They might be national level best sellers like Frontpoint Security, ADT, CPI and TYCO Integrated Security, but may not have any service centers in your area. Therefore, do not make the mistake of not checking out who’s the local boss. Have personal meetings: Security systems are not like buying any other products. Simple phone discussion wouldn’t be enough. Once you shortlist a few companies, have meetings with all of them and ask them to forecast what type of security you would require at your home or office. A face to face meeting will give you an excellent idea of their professionalism. Rely on word of mouth: Try to ask your close friends or relatives about their experiences. Manipulating online reviews is a possibility. Here’s a good source for Frontpoint security reviews. Moreover, nothing would be as reliable as your best friend’s advice. So do some offline research as well. Look for warranties: The best companies always offer warranties with full replacement in case of any mishaps. Have a solid warranty shows the trust they have for their product. Always go for such products instead of products with flashy features but no guarantee. Company Certification: Qualified dealers have certification from renowned sources. Hiring a certified home security professional typically means you are working with a reputable company. Try to do business with these enterprises. Keep on tweaking your security system after you make your purchase. It’s possible to find potential weak zones which can be better protected. Constant re-evaluation can reduce the loopholes over a period. Always try to put yourself in the shoes of a possible intruder. You don’t want to overlook any unsecured areas. Have brainstorming sessions with a group to get even more insights of potential gaps which need more attention in your home security system. Being up to date with the latest technology is also critical. Experienced criminals can easily crack security systems that are outdated. Moreover with newer technology, they wouldn’t even know what to expect. Make it known: Warning signs of all the high-tech security measures taken would be good enough to scare away a majority of intruders. Placing cameras in areas where it can be easily spotted is a smart way to warn potential vandals indirectly. The knowledge of high security itself is an effective deterrent.